I use and recommend A2 Hosting for your web hosting needs. A2 Hosting has been providing quality hosting since 2003. Get started now completely risk free with their web server hosting. Since a slow website could potentially be ranked lower in Google, you will want to pay attention to how fast your website loads. One key factor in website speed is choosing a fast hosting provider. If you are in the market for fast web hosting, I certainly suggest that you visit A2 Hosting. I have been using the Divi theme for a while now and I like the modern clean look of the theme. 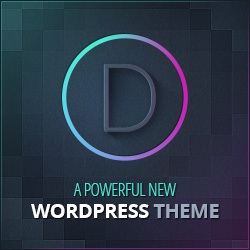 In addition to Divi, there are 86 other themes that are included for the same price. Besides themes, you will have access to all of the Elegant Themes plugins as well. Go to Elegant Themes and check them out today. *As a disclaimer, if you follow the links on this page and purchase one of these products, I will earn a commission. You are free to not use the links, but it does not cost you more to purchase through my links and I appreciate the support!